Alaska Airlines employee Nathan Kracker, left, drove Andrew Quinones from Anchorage to Seward, Alaska. A college student’s Alaska adventure was nearly derailed before it even started – until Alaska Airlines employees went above and beyond to deliver him to his final destination. When Flight 139 from Chicago to Anchorage was diverted to nearby Joint Base Elmendorf-Richardson because of unexpected fog May 5, many customers needed help rearranging plans and making connections. A 21-year-old man on his first visit to Alaska was especially worried. Andrew Quinones had booked a chartered halibut fishing trip – “something I’d dreamed of doing since I was a kid,” he said. The boat was scheduled to leave the next morning out of Seward, about 125 miles south of Anchorage – a 2 ½-hour drive. Because of the time it took to transport customers from the Air Force base back to Ted Stevens International Airport, buses weren’t running to Seward at that time of the evening, and taxi fare probably would have cost more than airfare. That’s when the Alaska Airlines team in Anchorage got creative. 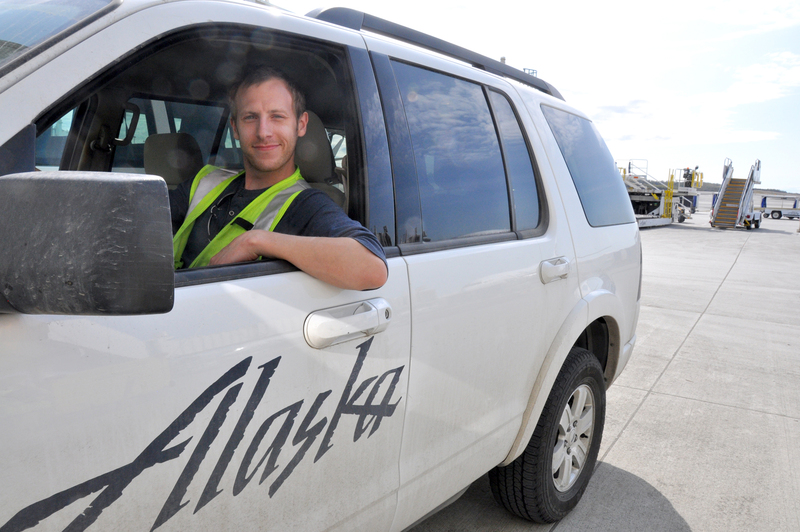 Kracker, a 25-year-old ramp lead, was born and raised in Anchorage and has worked for Alaska Airlines since 2007. By the time Quinones received his luggage, Kracker was waiting curbside in the Explorer, ready for the five-hour round-trip drive. To Jeff Carlson, ground operations manager in Anchorage, that’s a level of service that sets apart Alaska Airlines. The drive along the coastal Seward Highway offers views of Cook Inlet and Turnagain Arm as it winds through Chugach National Forest. Kracker dropped off Quinones at Best Western in Seward, and returned to the airport by 11 p.m. – before his shift was scheduled to end at midnight. Supervisors told Kracker he could buy himself dinner and expense it. He saved the receipt, and the big spender was reimbursed for his meal of choice: $4.59 for BBQ Pringles and an Amp energy drink. Quinones made it in time for his fishing trip – and even caught his limit of two halibut. 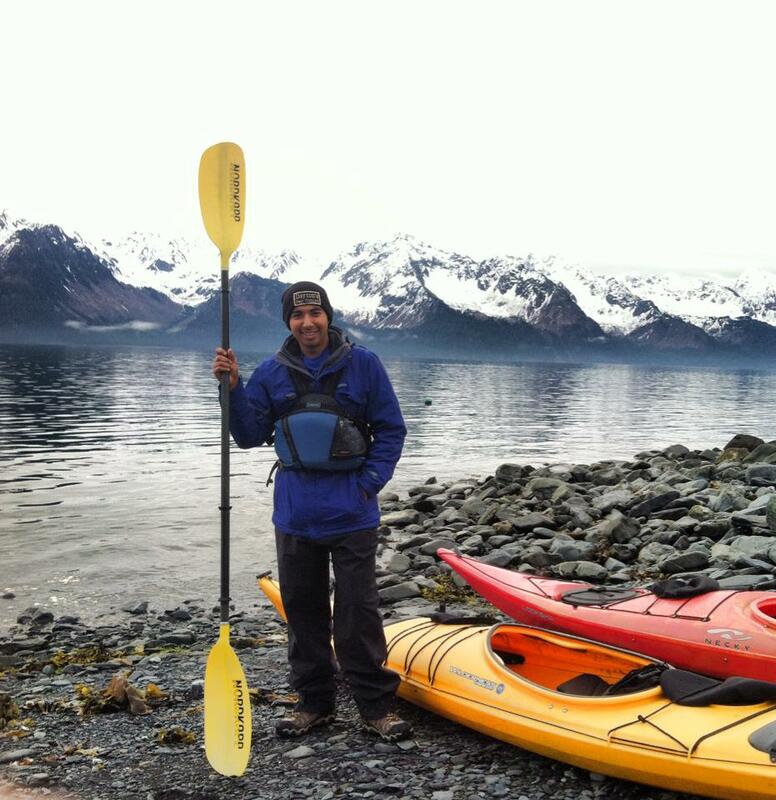 Quinones had planned the monthlong Alaska-to-California journey as a gift he gave himself to celebrate his graduation from Johnson University in Knoxville, before he heads back to school to work on an engineering degree at the University of Tennessee. 1 comment on "Alaska Airlines employee drives 5 hours to help customer make it to fishing trip on time"
This is another example of why Alaska Airlines has such loyal customers. True attention to customer service is so rare. I have found nothing but truly kind and helpful employees at Alaska Airlines — and I have been flying with them since 1985.